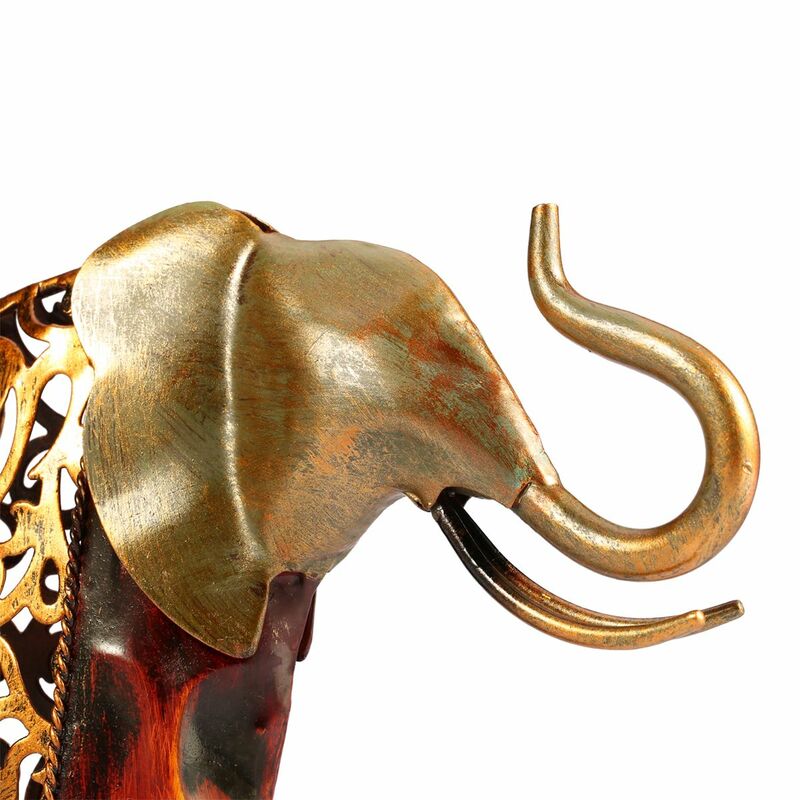 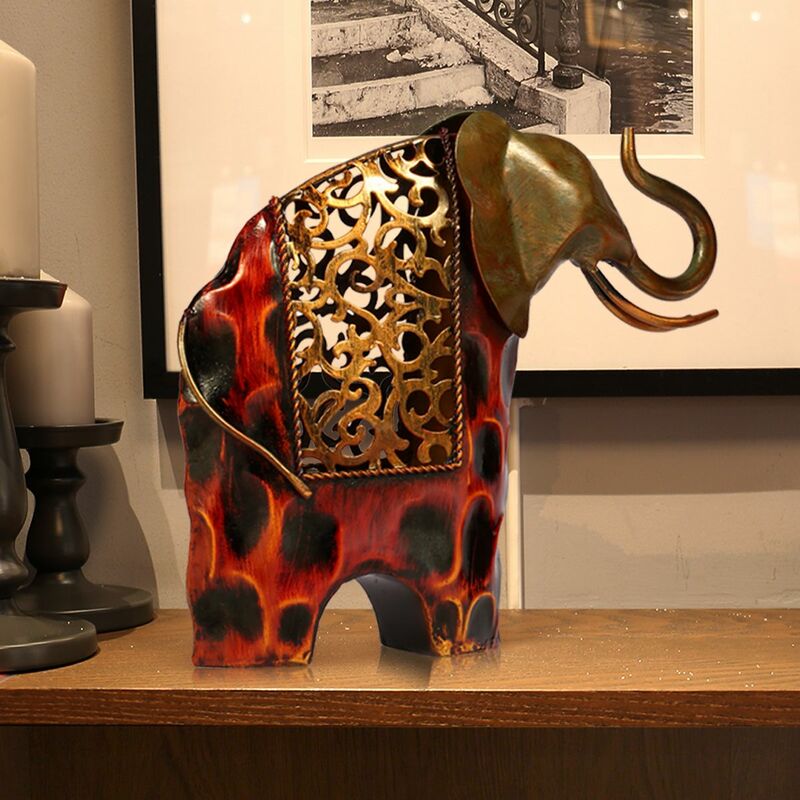 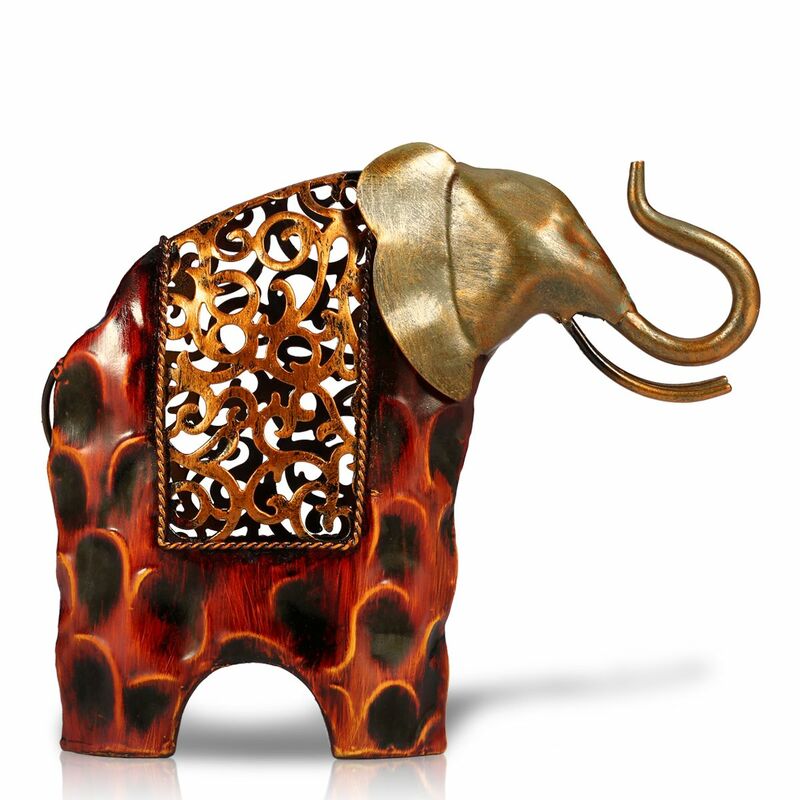 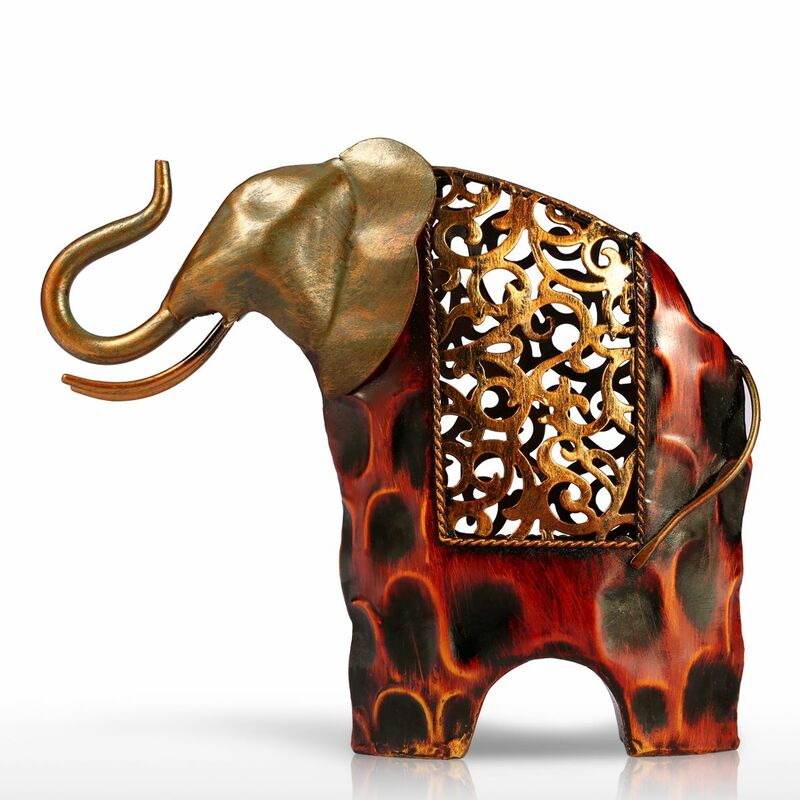 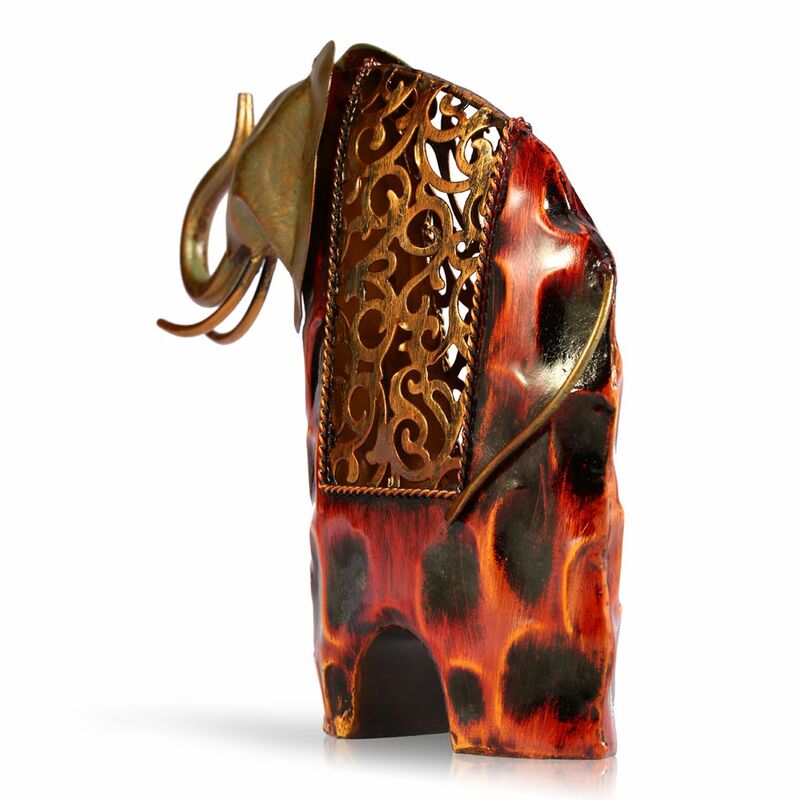 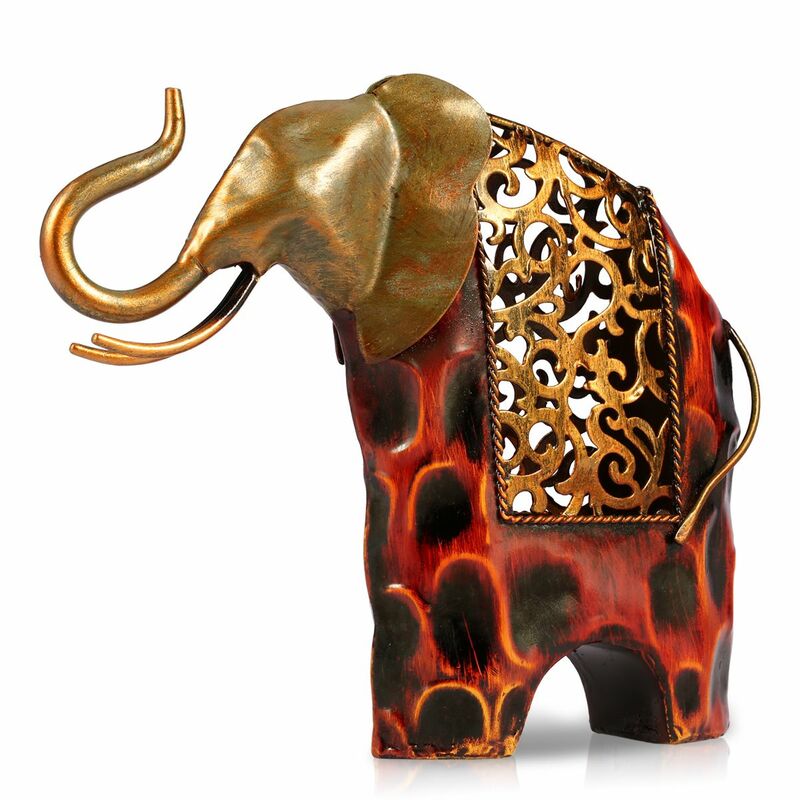 This is a metal sculpture of an elephant, all handmade by the old craftsman with a variety of shaping methods. 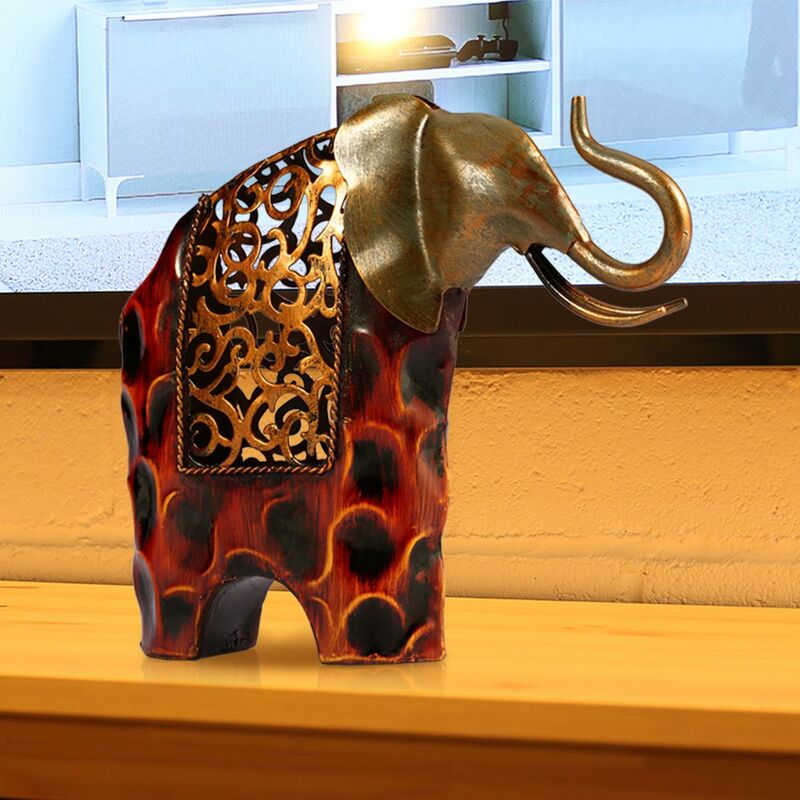 The beautiful and environmental paint ensures that it's stainless, and the pattern on the back represents wealth and prosperity. 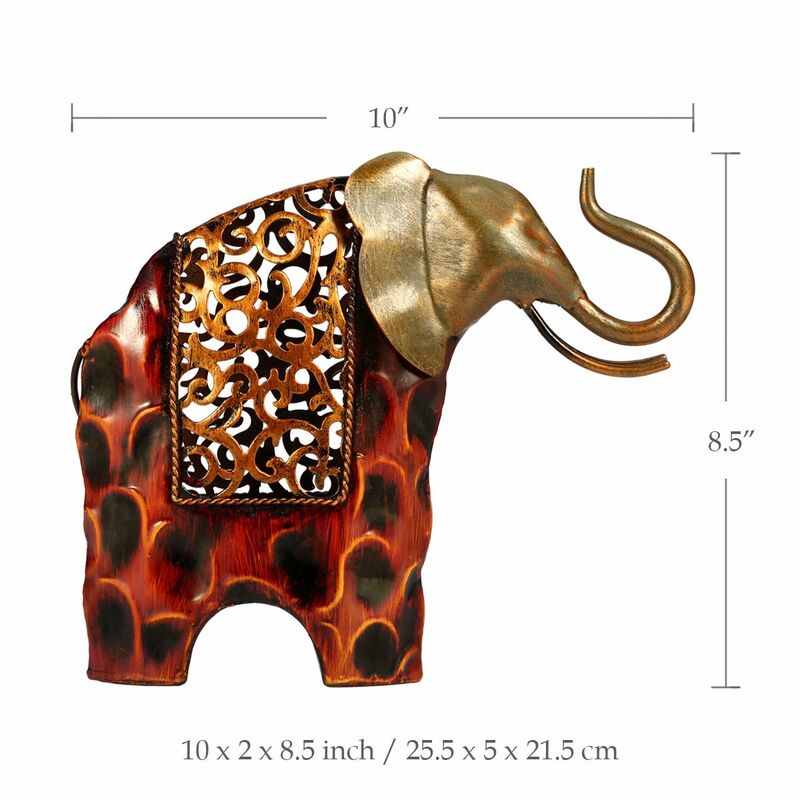 It is perfect for home decoration. 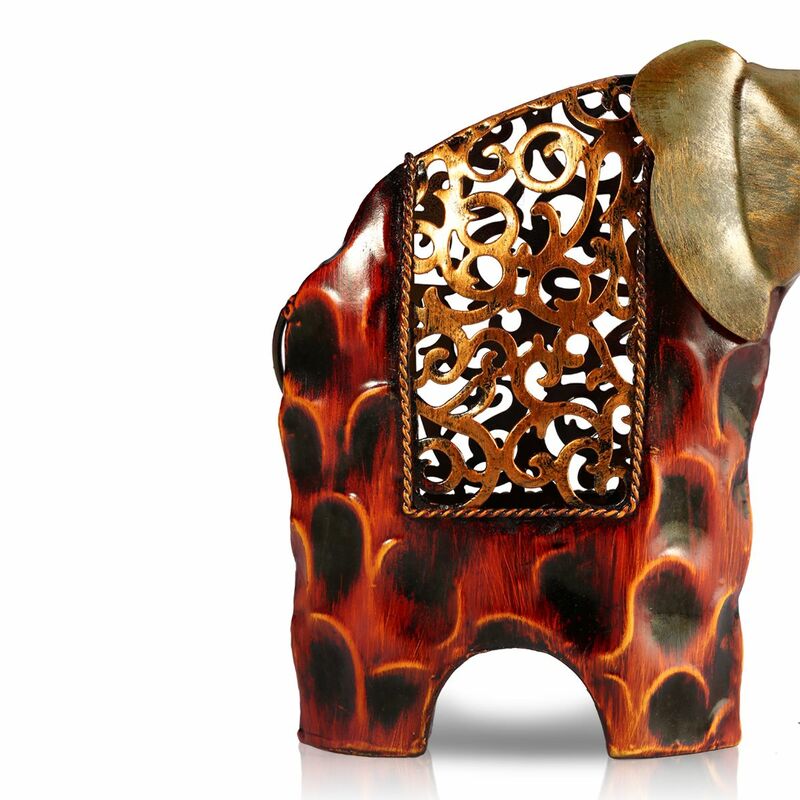 You can also buy this for your friends and relatives as a sincere blessing. 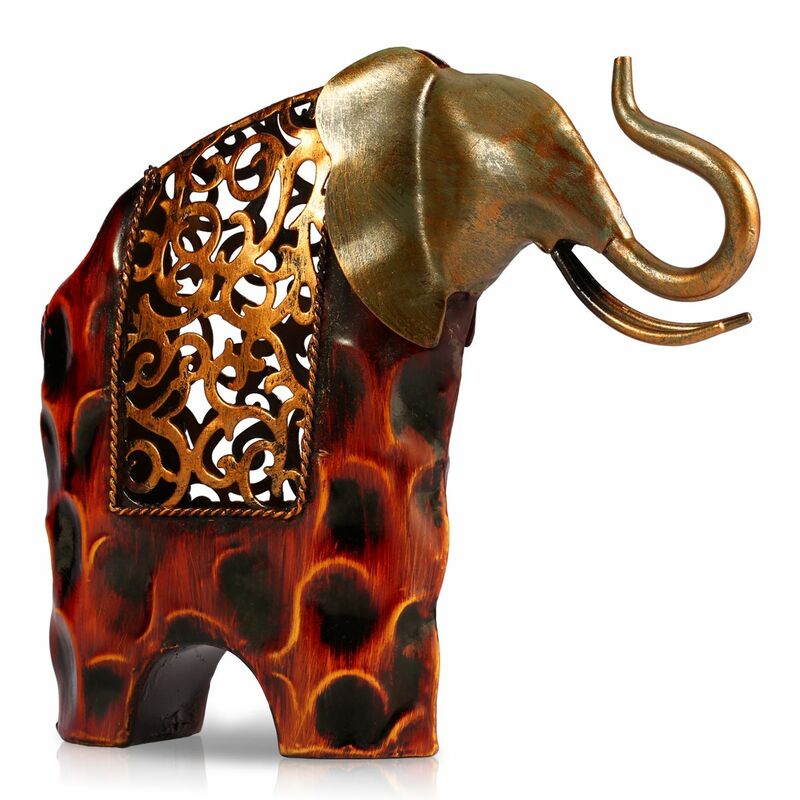 Metal sculpture, handmade, carved iron.